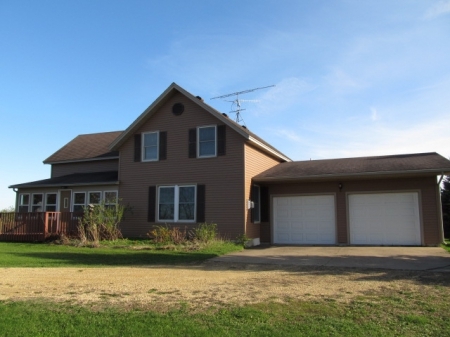 3 Bedroom, 3 Bath Menomonie Home For Sale on 5.3 Acres. Home is in great shape with many updates. New Septic, water heater, furnace, windows, doors, floors, kithcen, & gas fireplace. 2 car attached garage huge pole shed with concrete floor.